ORDER THE VITAMIX AER DISC CONTAINER THRU BLENDING WITH HENRY AND GET FAST FREE SHIPPING HERE! When Vitamix informed me about this product, I knew it was an aerating product. A similar aerating container from the Vitamix commercial division had already been showcased at a national food equipment show, and I had hoped that Vitamix would bring it to the home division. Of course they did and I was thrilled! The AER Disc Container does 4 things, and it does them well. Whipping, Foaming, Muddling and Emulsifying. It currently retails for $144.95 and carries a full 3 year warranty. HOW DOES IT WORK? IS IT A GIMMICK? The AER Disc Container was the one item missing from the Vitamix product line. 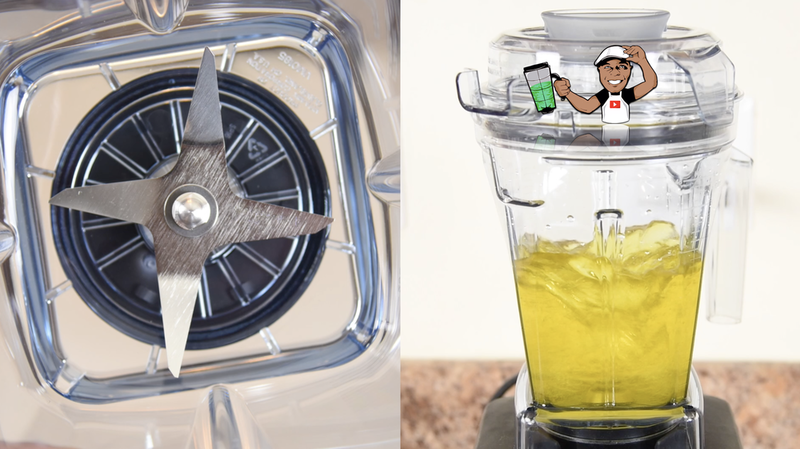 While you can do many things in your standard Vitamix container with blades, there are some recipes that need different technologies to get the job done. Rather than using blades, the AER Disc Container has a circular disc with holes that are designed to pull liquids downwards through the holes to create air. 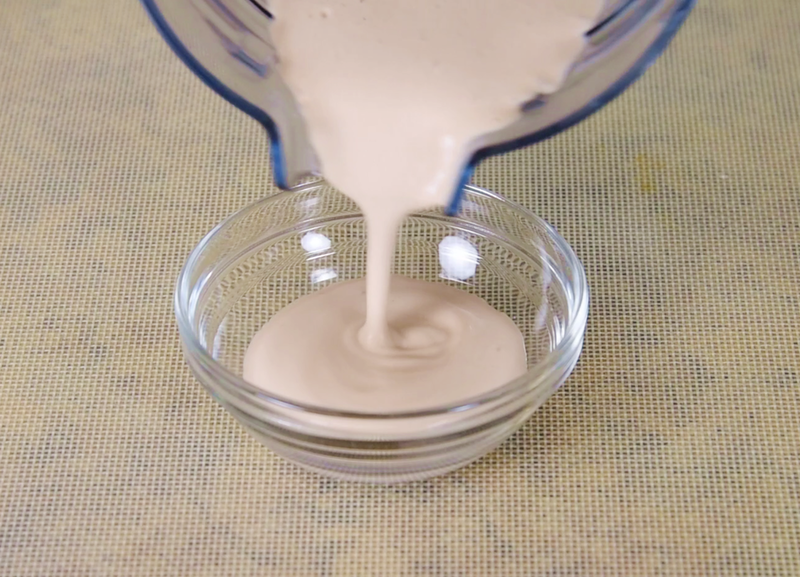 This helps to create foams, whips, muddling and emulsifying. See the video clip above. To the left with blue water is the Vitamix AER Disc and to the right is the Vitamix 48oz container with standard blades. Notice how the standard blade container agitates the water much more. This is due to the blade action designed to pulverize ingredients in order to create a blend, rather than creating air for foam as the AER Disc Container does. WHICH VITAMIX IS COMPATIBLE WITH THE AER DISC CONTAINER? 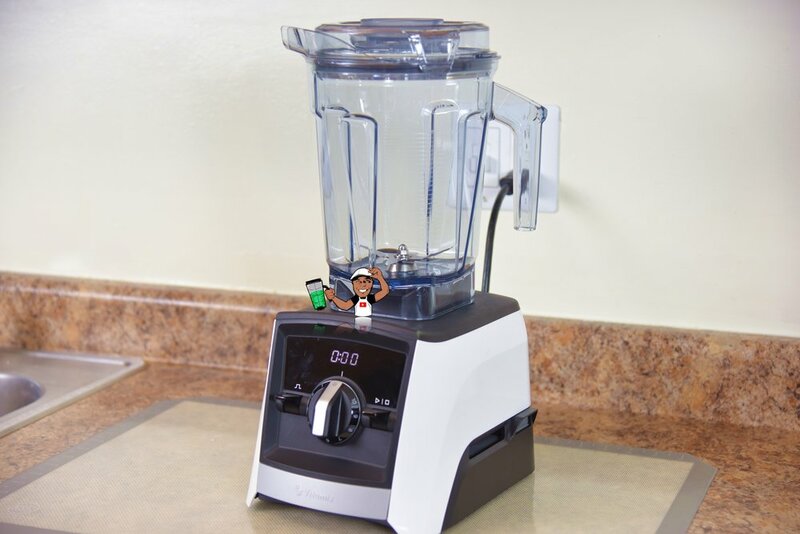 If you have a full-sized Vitamix blender such as the legacy models like the 6300, Pro 750 or 780 Touchscreen, the AER Disc Container works perfectly with them. If you have one of the new Ascent models, the AER Disc Container is fully compatible, as it offers the Self-Detect feature as other Ascent containers offer. 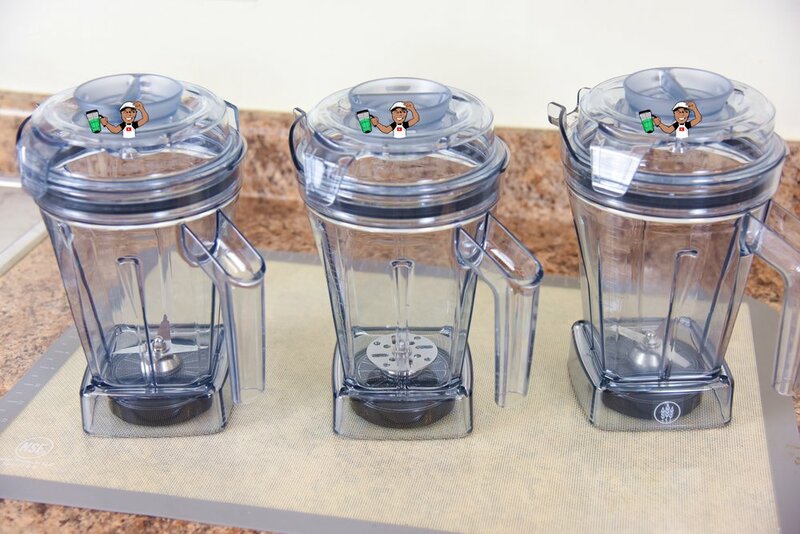 The Vitamix S-Series Personal Blenders are not compatible with the AER Disc Container. WHAT'S IN THE BOX OF THE AER DISC CONTAINER? 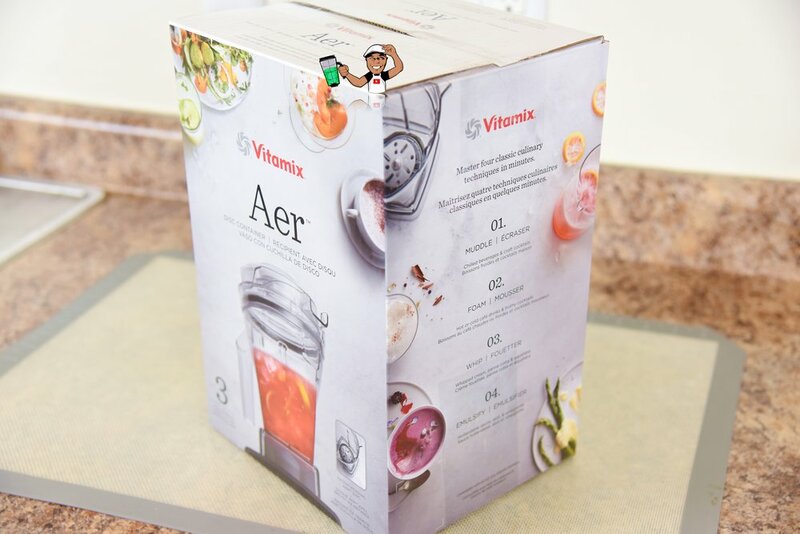 The Vitamix AER Disc Container comes complete with a recipe book, warranty information and a Tamper. While it's always great that a Tamper is included, I didn't find a necessary need for it. The Vitamix 48oz Container appears to be the "sweet spot" in terms of container size. It's small enough for recipes for one or two people and large enough to make recipes for a small family. The AER Disc Container uses the same 48oz container shell as the Vitamix WET and DRY containers. With your imagination, you can make a multitude of recipes with the Vitamix AER Disc Container. 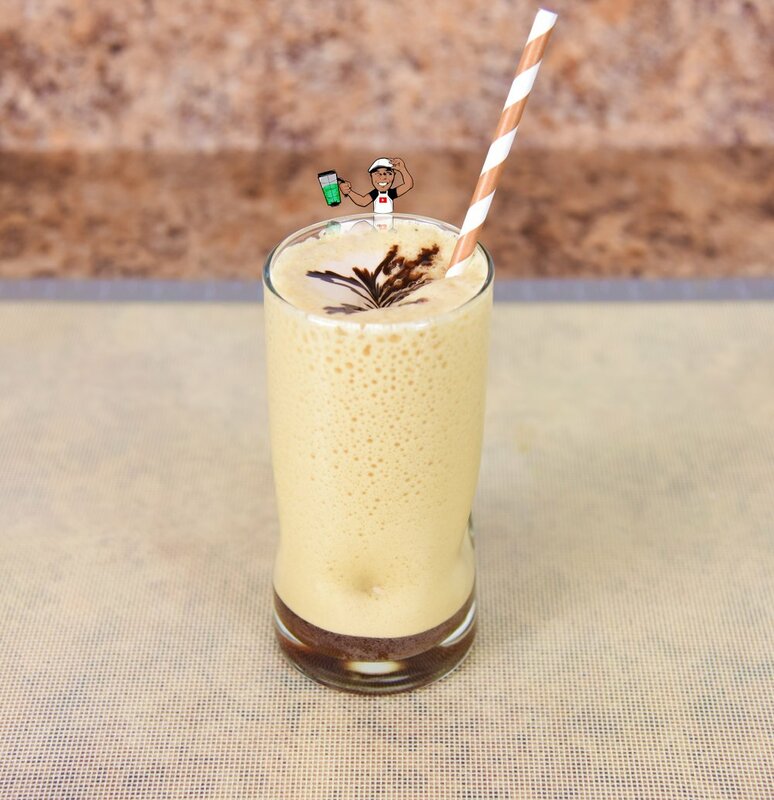 For example, in the picture above, you can make restaurant quality Aioli, mayonnaise, lemonade, Mojitos and various other types of recipes that are cream or foam based, as well as fruit infused beverages that keep the ingredients and ice intact. My quick and easy recipe for Cold Brew Coffee Fog, made in the Vitamix AER Disc Container. 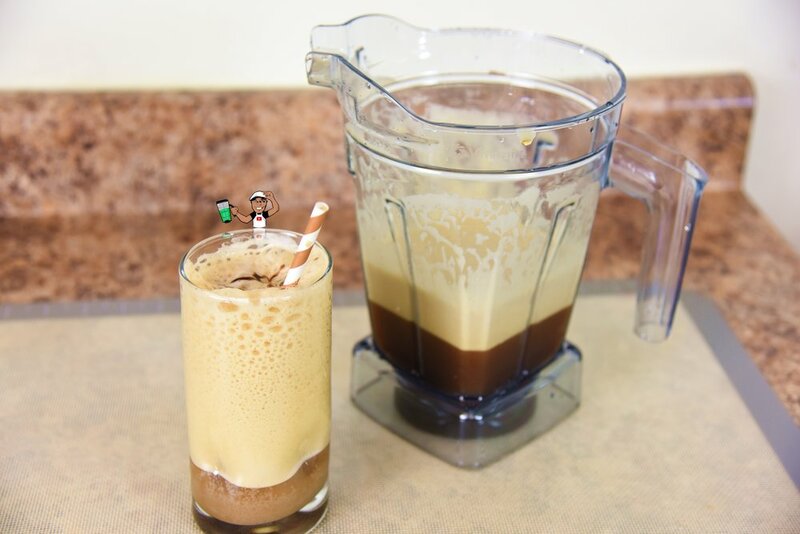 It's a bold flavor of French Press coffee in foam formation with a dairy-free chocolate foam topping and garnished with premium chocolate sauce. See the YouTube demonstration HERE! My quick and easy recipe for Strawberry Mango Fog, made in the Vitamix AER Disc Container. This technique is called muddling. 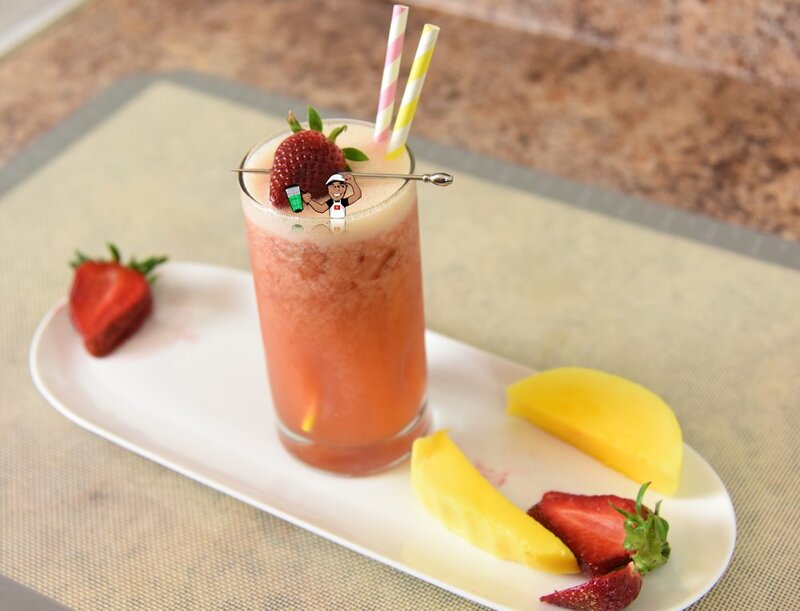 The coconut water is infused with strawberry and mango flavors and chilled with ice cubes. 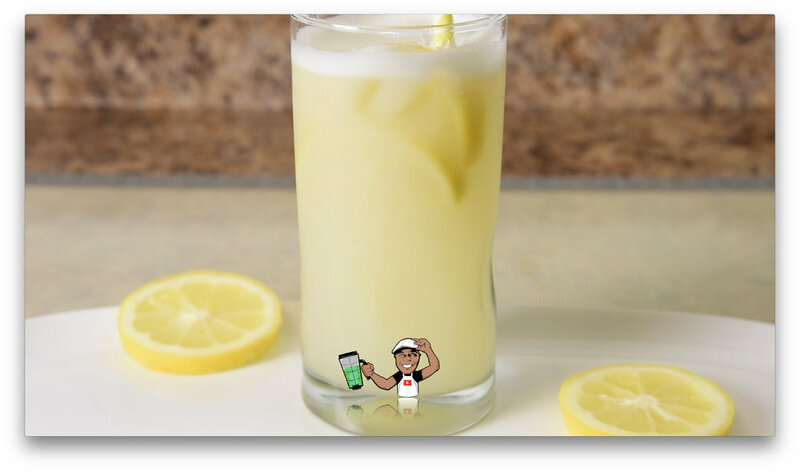 Same functionality when making the thirst-quenching lemonade shown above. See the YouTube demonstration HERE! I made an egg-free Garlic Aioli Dip using the Vitamix AER Disc Container. So simple. Only took a total of 5 minutes to complete. The AER Disc Container whipped the ingredients in just over 1 minute. The perfect dip for French Fries as well as a great mayonnaise for sandwiches. See the YouTube demonstration HERE! 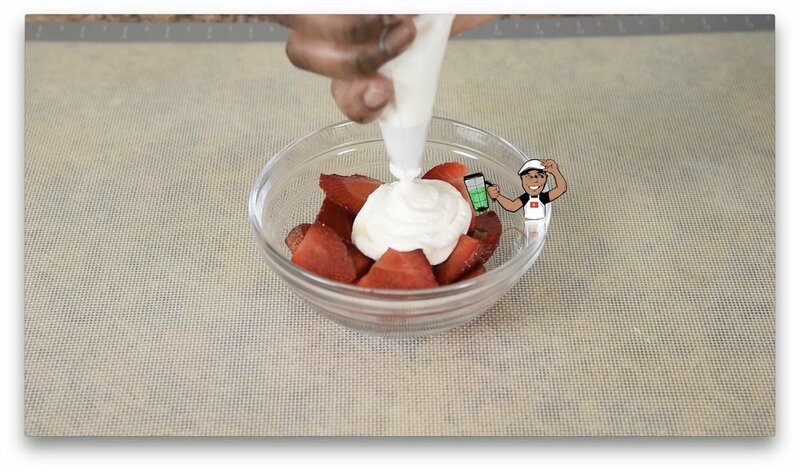 I made a quick Strawberries & Cream Parfait. Using dairy-based whipping cream, the AER Disc Container whipped the cream into a light texture. Better than commercial quality. See the YouTube demonstration HERE! So, if you're a current Vitamix owner, or planning to invest in one, should you buy the Vitamix AER Disc Container? Well it's $144.95, and some of the recipes shown above can be made in the standard Vitamix container with blades. However the muddling feature alone is worth the price of admission, and the ability to make foam is far ahead of what the standard Vitamix container can do. There is a slight learning curve as to not over-muddle certain recipes, and I've found speed 6 on the Vitamix Ascent to be the optimum speed for creating whips and emulsions. Faster than speed 6 can cause certain emulsions to collapse. The AER Disc Container is definitely a worthy accessory to add to your Vitamix collection. I will say that once you give the Vitamix AER Disc Container a try, you might end up loving it as much as I do.